Vatican City, 4 March 2013 (VIS) – A student of the history of the Roman Curia, in particular the office called the Apostolic Camera, will find that, as early as the 11th century, the term "camera thesauraria" (treasure chamber) appeared, describing an office set up to administer the finances of the Roman Curia and the temporal goods of the Holy See. Today it performs the latter task only in the period of "sede vacante" or vacant see. In the 12th century, the head of that office was known as the "camerarius," or camerlengo (chamberlain) - a title which carries over to today. That same century saw the former offices of viceroy, treasurer and wardrobe guardian incorporated into this single department. In the 13th and 14th centuries it acquired judicial functions in fiscal matters as well as certain penal and civil cases. The camerlengo of Holy Roman Church (to be distinguished from the camerlengo of the College of Cardinals) was often a cardinal, but this became mandatory only in the 15th century. Then – as now – he was assisted by a vice-camerlengo, a general auditor and chamber clerks, called Cleric Prelates. Today there is also a notary. In the early centuries the camerlengo, individual clerks, and chamber auditor had acquired specific competencies and presided over special tribunals, though the "camera plena" or full chamber functioned as a collegial court. Throughout the 19th century the Camera was above all a tribunal for the pontifical state. With his Apostolic Constitution "Sapienti Consilio" of 29 June 1908, Pope St. Pius X confirmed the Apostolic Camera in its functions of temporal power which it had exercised in the past. Paul VI's Apostolic Constitution "Regimini Ecclesiae Universae" of 15 August 1967 preserved the Apostolic Camera, presided over by the Camerlengo of Holy Roman Church or, if he is impeded, by the vice-camerlengo. It thus maintains the function of caring for and administering the temporal goods and rights of the Holy See during the period of Sede Vacante, that is, between the end of the reign of one Pope and the election of his successor. A reconfirmation of these special duties was given in John Paul II's Apostolic Constitution "Pastor Bonus" of 28 June 1988. As confirmed by Pope John Paul II in the Apostolic Constitution "Universi Dominici Gregis" of February 1996, the camerlengo of Holy Roman Church and the penitentiary major are the only two heads of curial offices whose functions do not cease during the Sede Vacante. In fact, those of the camerlengo actually increase during this period. 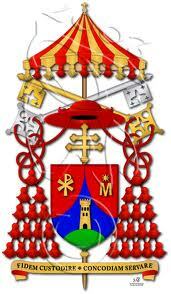 The current camerlengo of Holy Roman Church is Cardinal Tarcisio Pietro Evasio Bertone, S.D.B. The cardinal was born on 2 December 1934 in Romano Canavese, Piedmont, Italy and was ordained in 1960. 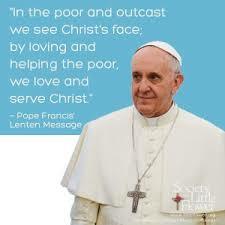 He holds a doctorate in canon law and was the rector of the Pontifical Salesian University in Rome in 1989. He received episcopal ordination as archbishop of Vercelli, Italy in 1991. In 1995 Blessed John Paul II appointed him secretary of the Congregation for the Doctrine of the Faith, whose prefect at the time was Cardinal Joseph Ratzinger. 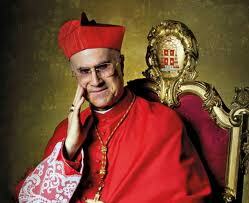 In 2002 he was named metropolitan archbishop of Genoa, Italy and on 21 October 2003 he was created a cardinal. On 22 June 2006, Benedict XVI appointed him as secretary of State and on 4 April 2007, as camerlengo. On 1 March 2013, the complete Apostolic Camera met for the beginning of the period of the Sede Vacante resulting from His Holiness Benedict XVI's renunciation of the Petrine ministry in effect from 8:00pm the previous day, 28 February. The Apostolic Camera currently consists of: Camerlengo Cardinal Tarcisio Bertone, S.D.B. ; Vice-camerlengo Archbishop Pier Luigi Celata; Auditor General Bishop Giuseppe Sciacca; and the College of Clerics: Msgr. Assunto Scotti; Msgr. Paolo Luca Braida; Msgr. Philip James Whitmore; Msgr. Winfried Konig; Msgr. Osvaldo Neves de Almeida; Msgr. Krzysztof Jozef Nykiel; Msgr. Lucio Bonora, and; Msgr. Antonio Lazzaro.